AMPLIFi® TT is a tabletop multi-effect that transforms any room into a music studio so you can play guitar more easily than ever. Launch the AMPLIFi Remote app & start jamming to the music you love—in your home, office, bedroom or anywhere in between. Play along with the tones of your guitar heroes with over 200 award-winning amps, effects & speaker cabinets. Turn your stereo into a streaming speaker system & more! Plug your guitar into more of your life. Play guitar on your home stereo. Connect the AMPLIFi TT guitar processor to your stereo or home theater and you’ll instantly have a great-sounding guitar amp and Bluetooth® streaming speaker system. Plug in and jam out during boring TV commercials. Rip your favorite riffs between calls at work. Play along with tracks in your music collection, or just crank the volume on your favorite album at the end of a long day. AMPLIFi TT gives you more ways than ever to enjoy the music you love. The easiest way to sculpt your sound. Forget about using knobs or a tiny built-in screen to dial in your amplifier’s tone and effects. 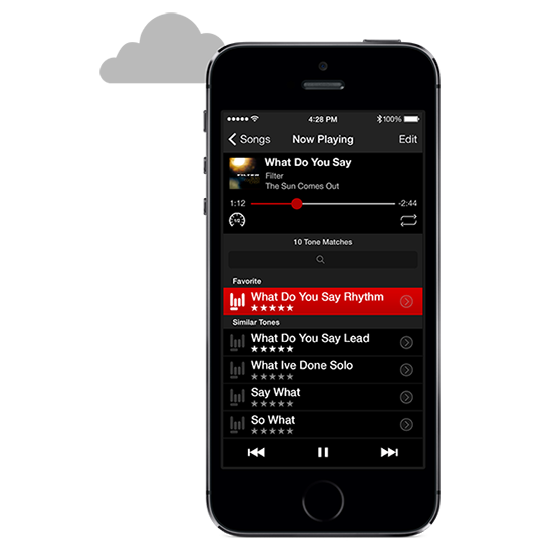 AMPLIFi Remote lets you control every aspect of your sound from your iOS or Android device via intuitive, interactive graphics. 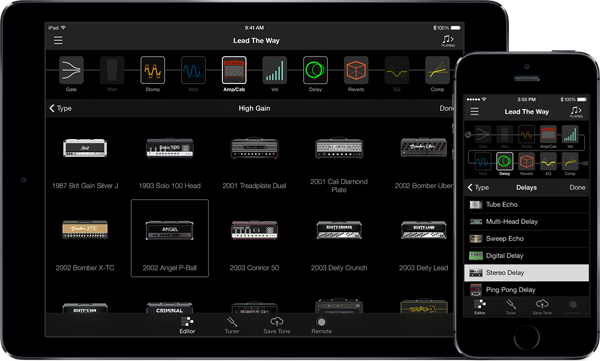 Create your own tone from over 200 legendary guitar amps, effects and speaker cabinets. Use 8 simultaneous effects to build complex signal chains. AMPLIFi Remote gives you instant access to all the sounds you need. Dial up the tones of legendary guitarists. Innovative Line 6 tone-matching technology takes the work out of dialing in the perfect tone. Wanna sound like Slash or Hendrix? AMPLIFi Remote makes it incredibly easy to match legendary guitar tones in an instant—and for free. Select any song in your music library, and AMPLIFi automatically provides matching tone selections via the cloud. 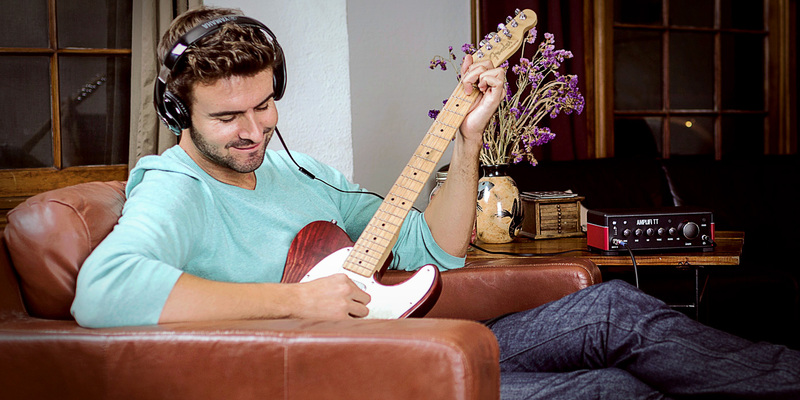 With AMPLIFi TT, it’s never been easier or more fun to record with amazing guitar tone. Featuring super low-latency monitoring and easy standalone operation, AMPLIFi TT offers a much more satisfying and realistic guitar recording experience than ordinary tone plug-ins and apps. And with more than 200 amps, effects and speaker cabinets covering thousands of presets, you’ll never be short of inspiration in the studio. With a massive worldwide community of guitarists sharing their tones, you’re sure to find the sound you’ve been searching for. Within the AMPLIFi Remote cloud community, you can rate your favourite tones, upload your own—and even share tones via Facebook and Twitter. At the same time, you can build your musical network by connecting with other musicians and fans. The AMPLIFi cloud automatically keeps all your devices up to date and synchronised. You can store an unlimited number of presets in the cloud—and access them anywhere free of charge. With your busy schedule, you may only have a few free moments each day. Wouldn’t you rather spend that time immersed in playing guitar, instead of tweeting, texting or watching the keyboard cat on YouTube? AMPLIFi helps you make music during life’s spare moments—simply plug in and crank up whenever inspiration strikes.